If you are a lover of all things shabby chic then Oscar's Boutique is the perfect place for you! At Oscar's Boutique you can find the most beautiful shabby chic home accessories such as bookends, ornaments, photo frames, homewares, kitchen accessories, the list is endless! It's quite unbelievable how reasonable priced their range is. You need to visit their website! In addition to this they have a fabulous range of French Bedroom Furniture and storage solutions. Their gift items have got to be my favourite though. 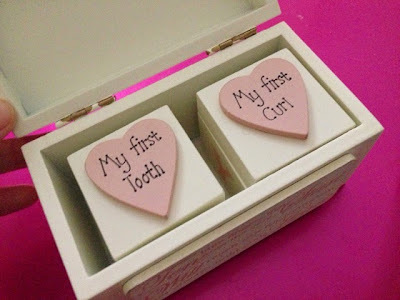 Oscar's Boutique very kindly sent me one of their Pink Tooth & Curl Memory Box sets. Upon opening, the first thing that hits you is the smell of the wood. I loved that. It somehow adds to the emphasis of it being a handmade item. 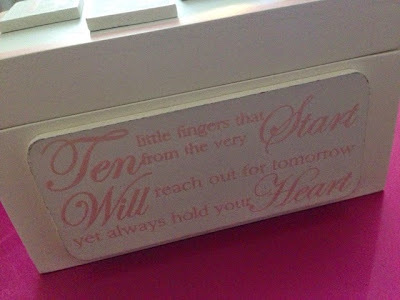 The set is made up of three boxes: the larger outer box has 'BABY' spelled out on the top with a beautiful phrase on the side - "Ten little fingers from the very start, will reach for our tomorrow yet always hold your heart". This is so fitting for a baby item. Inside that outer box, you will find two smaller boxes. 'BABY' is, again, lettered around the edge of these boxes and they have two pink carved hearts on the top; one displaying 'My first curl' and the other 'My first tooth'. The set is absolutely immaculately made and I fell in love with it as soon as I opened it out. 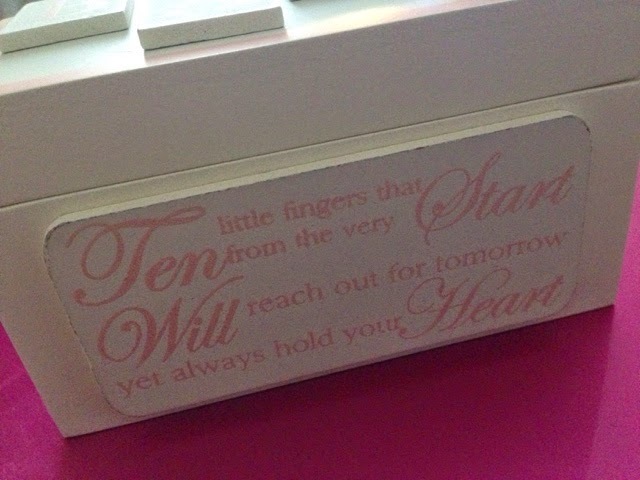 It would make the perfect gift for anyone who has just welcomed a new baby or as a christening gift. 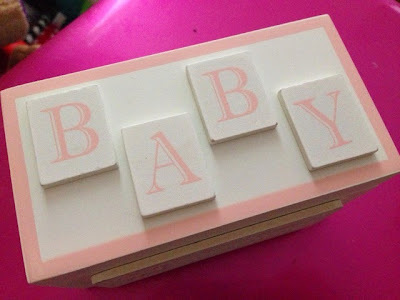 The large box is 12cm x 6cm x 7cm whilst the smaller boxes are 5cm x 5cm x 5cm. You can purchase your own set from the Oscar's Boutique website for the amazing price of £14.95. It is also available is blue and white. I highly recommend checking out the website in full. I've already made a mental list of other items that I want to buy. You can keep up to date with Oscar's Boutique on Facebook, Twitter and Instagram.